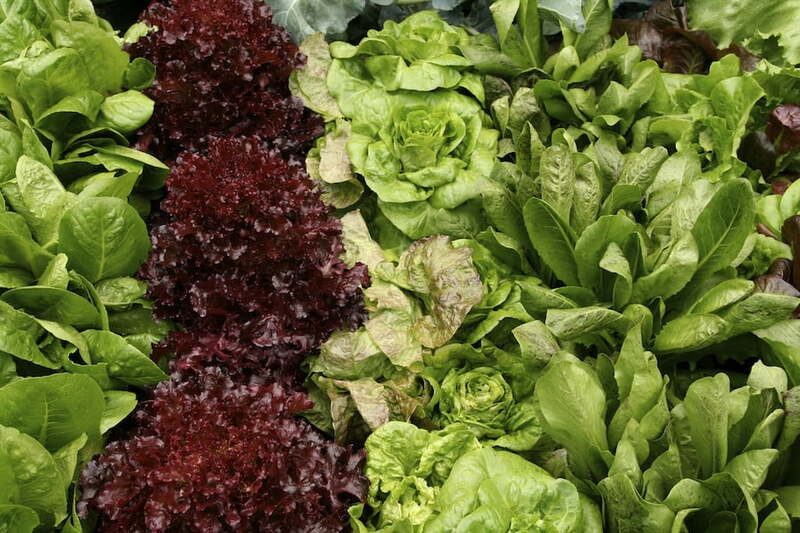 Leafy veggies like kale, spinach, leaf lettuce, arugula (rocket), mustard greens and Swiss chard can get by with only two to four hours of sun—though they will grow more lush in sunnier locales. If you have a garden that offers both sun and shade, one of the advantages of knowing what can take less sun is the ability to increase your harvest by tucking these plants in along shaded borders that are often though of as wasted space. 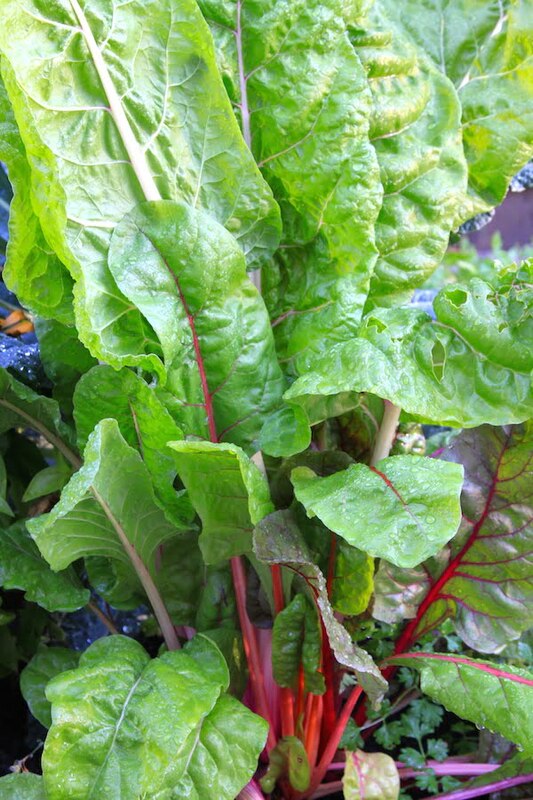 As always, the most critical ingredient of a thriving vegetable garden is rich, well-drained soil. Though some plants prefer specific things, a general guideline for amending garden beds is a mix of cocopeat (especially if you want to help save overly harvested peat bogs), new topsoil and compost—each element being 1/3 of the mix. Getting the right amount of light in a shady spot can be tricky. 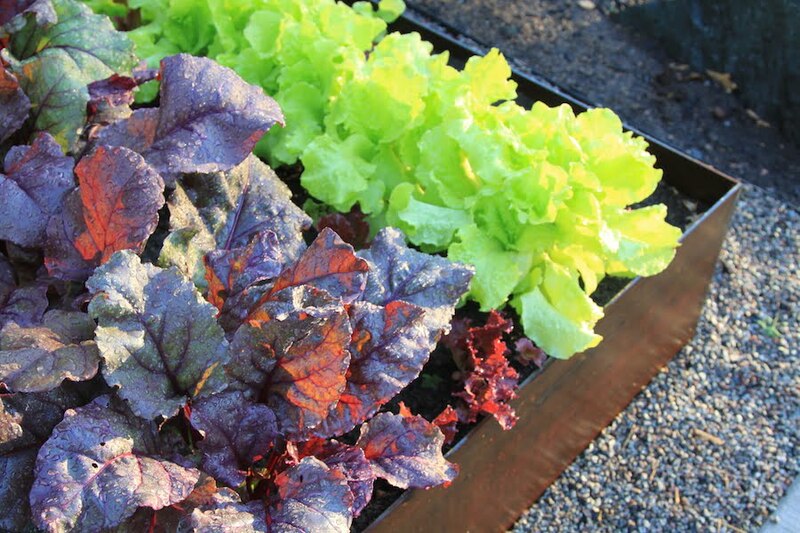 So if the light level in your garden changes dramatically throughout the day, one thing you can do to make the most of available sunlight is to grow your veggies in containers. That way, as the sun moves, the containers can be moved, too. I stumbled onto this idea a couple of years ago during my struggle to grow tomatoes in my shaded backyard and it has worked very well. Even if you don’t have that much sun any place, you can still increase the number of vegetables you can plant by trying this method. I like to put my large pots on four-wheeled stands that I bought at IKEA for a few bucks, but many garden centers carry them. (They kind of look like a metal garbage can lid on wheels. 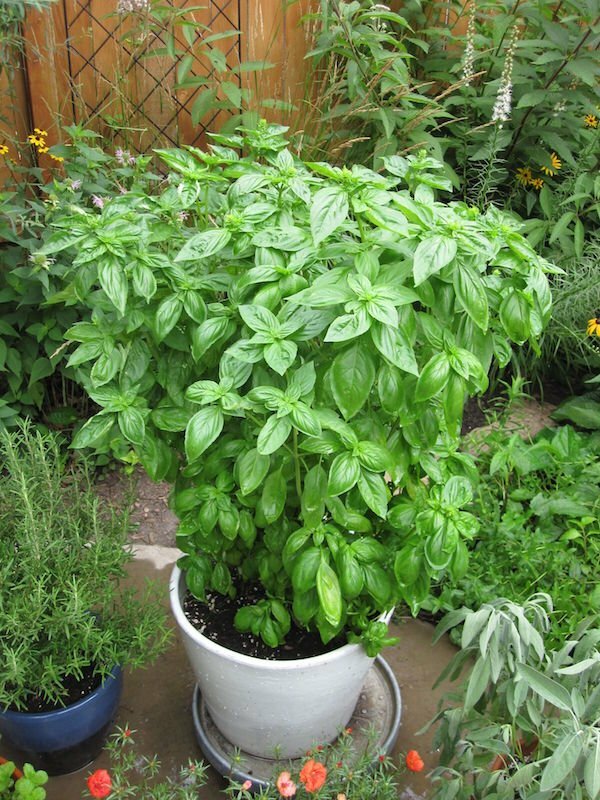 )(Aside from smaller yield, the only real drawbacks to containers are that they dry out quickly so they often need to be watered every day once summer gets rolling. They also require more nutrients, so it’s a good idea to add some diluted fertilizer to the water you use throughout the season. One of the most important keys to success with container-grown veggies is to choose pots that are large enough for the job. A good starting point is 16 inches (400mm) wide and at least a foot deep (300mm), though something closer to 25 inches (630mm) wide and 18 to 20 inches (450-500mm) deep is probably closer to ideal for most veggies. Because these large containers will be something of a focal point outdoors, you may want to dress them up a bit by combining vegetables with flowers that aren’t too demanding like nasturtiums, dwarf snapdragons or petunias. Or, you could add a few herbs. Parsley, tarragon, thyme, lemon balm, chives and oregano will all do well in partial shade. Mint is also shade tolerant, but you’d best give it a pot of its own to spread out in.